SANY and Equipment Depot bring you the best in heavy forklifts and port equipment. TOUGH EQUIPMENT BACKED BY SUPERIOR SERVICE. Equipment Depot, America’s #1 independent material handling and rental source, is the exclusive SANY distributor in the U.S. for heavy forklifts and port equipment, bringing you the toughest equipment backed by superior service. With an expanded line of heavy-duty products, we are improving the value we provide you as a one-stop shop for all your equipment and service needs. With convenient access to major components, SANY’s equipment is designed to be easily serviceable to keep your operation running. Dependable and proven equipment used in the world’s largest and busiest ports. Ready-as-needed parts, service and rentals all backed by Equipment Depot’s Performance. Guaranteed.™ pledge. 6 x 8'6" / 5 x 9'6"
7 x 8'6" / 6 x 9'6"
6(+1) x 8'6" / 5(+1) x 9'6"
7(+1) x 8'6" / 6(+1) x 9'6"
8(+1) x 8'6" / 7(+1) x 9'6"
INDUSTRY’S BEST WARRANTY. YOU’RE COVERED. We are so confident in the quality of SANY’s equipment that together we are offering the strongest coverage in the heavy forklift and port equipment industry – SANY’s 5-year/10,000-hour warranty*. 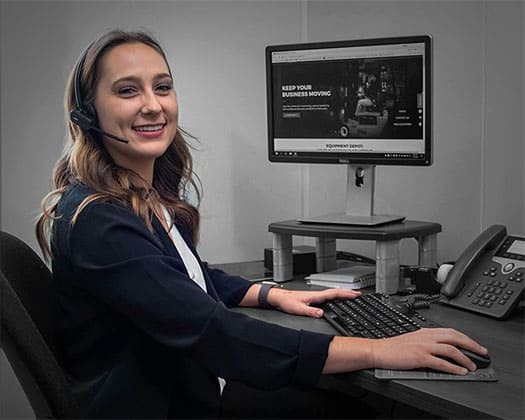 This is more than peace of mind, it is knowing your investment has long-term coverage from a reliable, world-class company known for high-performance equipment. INNOVATION. ALWAYS AHEAD OF THE GAME. SANY’s legacy of innovation is driven by its 5,000 engineers around the world and reflected in over 6,000 approved patents. Intelligent product design such as easy access to major components and a centralized control system make units easier to diagnose and repair, minimizing downtime. Continuous investment in R&D enables SANY to bring you advanced technology and new equipment in less than 6 months. QUALITY. TRUSTED ACROSS THE GLOBE. Proven in the world’s largest and busiest ports, SANY’s tough equipment is trusted for the toughest applications by over 120,000 customers across the globe. SANY includes many advanced safety features standard while others charge extra, so you know your team is protected and productive. Plus, you can count on maximum uptime with major components from the industry’s most reliable and trusted brands. SERVICE. PARTS. RENTALS. WE'RE HERE FOR YOU. Since 1951, Equipment Depot has been providing the best products, the right parts, and a commitment to deliver the Best Service in the industry. That is a partnership you can count on — Guaranteed. No other company offers this level of support and service to ensure your success. These heavy-duty forklift trucks are equipped to handle even the toughest applications. With max capacities exceeding 100,000 pounds, versatile specifications to meet your needs and a wide variety of attachments, you can count on SANY to keep your operation running. SANY container handling equipment is here to optimize your job sites. Improve your operational efficiency with side pick and top pick options available, capacities of over 90,000 pounds along with global and local parts support. Reach up to 5 containers high and 3 containers back with reach stackers from SANY and Equipment Depot. You can stay confident that you are maximizing uptime with top-of-the-line standard safety features and fully integrated main controllers. Are you looking for a gantry crane that meets all of your needs? Look no further than the SANY RTGs, which are built to your specifications. Get exactly what you need from your port equipment backed by the dependability and durability SANY is known for. The STS cranes from SANY come equipped with leading technology to improve your load transfers. Efficiency and safety features come standard on our port cranes to help you improve throughput, protect your team and improve the bottom line. Safety is not just an afterthought at SANY. 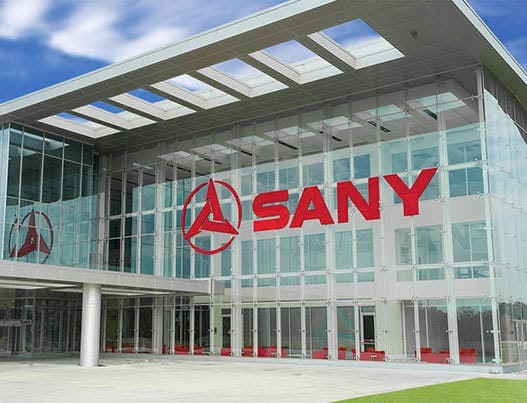 Early in the design process, SANY prioritizes the well-being of its customer operators and employees. While other companies charge extra for certain features, SANY provides many advanced safety systems standard promoting protection of operators and pedestrians. Examples include reverse camera with sensors, pedestrian awareness system, fire suppression, stability control system, GPS monitoring system, and more. 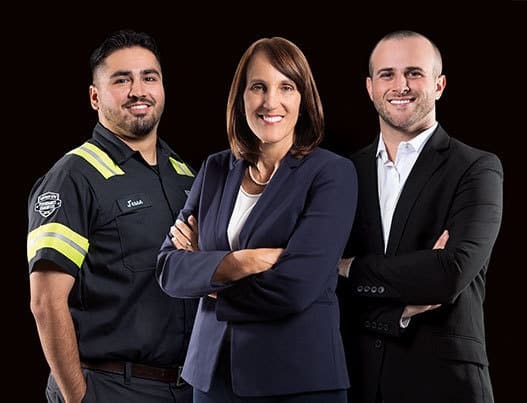 From your first call to the final delivery, you can trust our experience, expertise and passion for providing solutions that meet your needs. Ready to find out how SANY and Equipment Depot can help you improve operational efficiency? Reach out to us and one of our dedicated representatives will provide you with the information you need.